Due to an overwhelming interest in our program Registration is now Closed! If space becomes available, we will re-open registration. 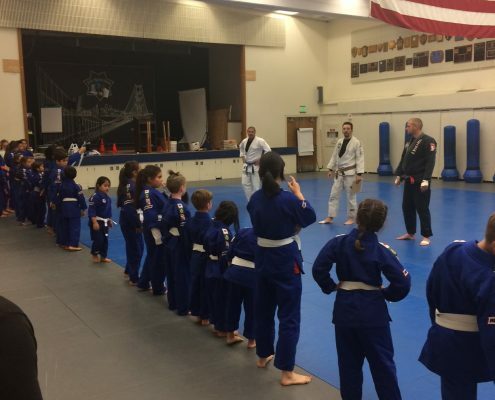 Class meets Mondays & Wednesdays, 6:00pm–7:00pm at 350 Amber Drive, San Francisco, CA 94131 in the San Francisco Police Academy Gymnasium. Jiu jitsu is a contact and physical sport. Throwing and joint locks are all part of the sport. 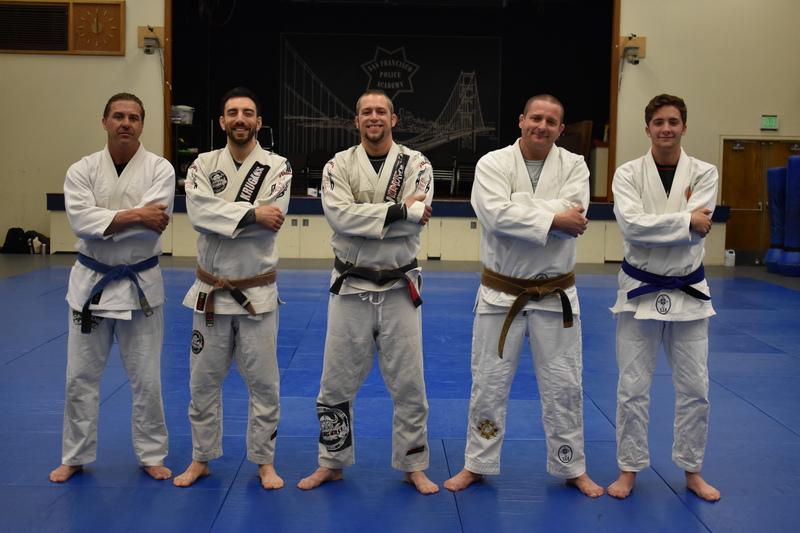 While under the instructor’s guidance, youngsters advance in belt degrees as they master the techniques of Jiu jitsu and increase their skill and love of the sport. Check out our short little action clip from our current group of kids. 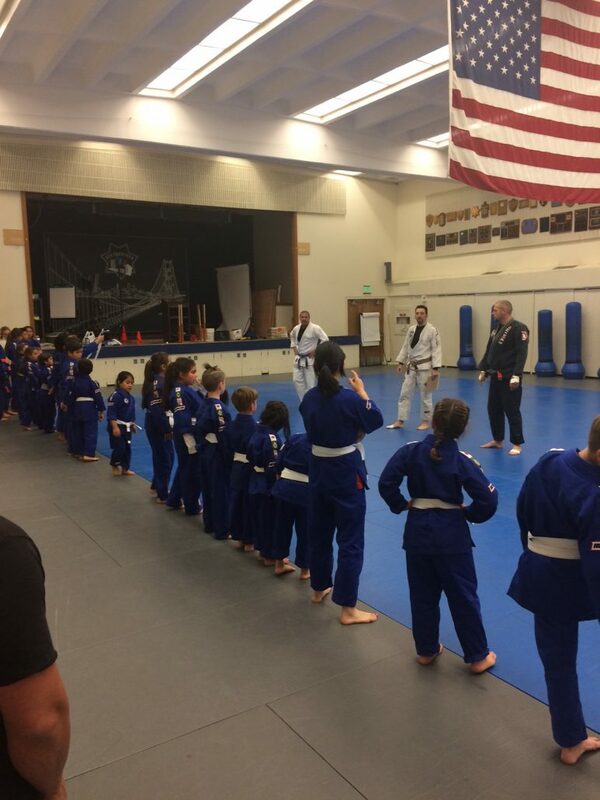 Jiu jitsu is designed for all youth to participate. The cost of the program is absolutely free. SFPAL incurs the cost of the program in order to provide a healthy alternative for youth residing in the City. You can visit our sponsored vendor Nor Cal Fight Shop to purchase your Jiu jitsu gi (must be blue in color) at a pre-negotiated discounted price. 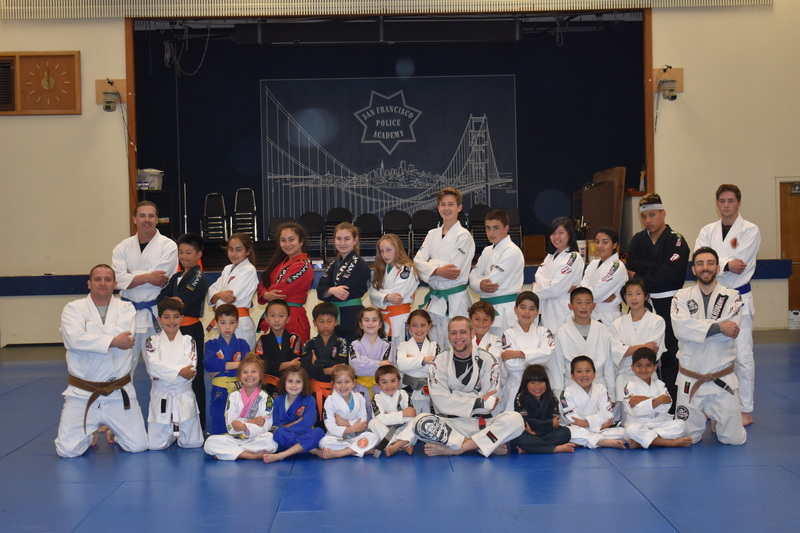 Mention that you are a student of SFPAL’s Jiu jitsu program for the special price. Else you can bring your own uniform to class. Pictures from Chief’s Scott’s most recent visit to our program. For pictures of our 2nd Anniversary celebration, please click here. No matching events listed under Martial Arts Program. Please try viewing the full calendar for a complete list of events.